Baba says, "No one can come to Prasanthi Nilayam unless I call him." The dream is one of the means He uses to draw people towards Himself. I remained with Sai Baba for two months. Daily I observed him attending to the multitudes that came to Him - healing the sick and materialising objects and giving them away as gifts to devotees. Everything that Baba taught me was good and all of His endeavours were beneficial. He also gave me permission to write about Him which is what I am doing now. Sai Baba does not work in secrecy. His activities are an open book for all to witness and draw their own conclusions from. Baba often says 'My Life is My Message.' I pray, that I may receive more and more His message." Baba has declared very often that He wills the dream as a means of communication with the dreamer, in order to grant him courage, confidence and clarity of thought. H. Narayana Rao, while in bed in the intensive care cardiac unit at the K.E.M. Hospital in Bombay, awaiting implantation of an artificial pace-maker, dreamt that visitors were streaming into the ward. Among them was Baba, who stopped near his bed and spoke in His soft, reassuring voice, "My son! I know how much you are worried about the artificial pace-maker and the operation. Do not worry in the least. From now on your pulse will gradually improve. Count the days from today, and on the eleventh day, which will be Saturday the 17th, you can go home." And in spite of the doctors putting forward various other proposals, he was discharged exactly on the 17th, with his heart quite normal. When I read a letter from Professor Kausal of Kurukshetra in which he had mentioned that he had resigned his job after being advised by Baba in a dream to do so, I was reminded of another devotee who withdrew a petition he had filed in a civil court. His claim to some property was so strong that he fought his rival through all the labyrinths of law, in spite of all the tension involved and the massive sums of money he had to spend. The suit had possessed him and he was refusing to reconsider. But Baba appeared in his dream and ordered him to give up his mislaid attachment. "Properties are not proper-ties," said Baba with a strange emphasis. Kausal writes, "The dreams are effective, vivid, personal and peace-giving. I cannot brush them aside, especially since Baba later confirms them and continues the advice He vouchsafes during the dream-session." Baba urges people by means of dream-appearances to come to His presence. He smoothens the difficulties that deter them from undertaking the journey and encourages them to enter the spiritual path towards self-realisation. We have already seen this stratagem of His love in the accounts given by Willie Ansah of Accra and Lawrence Galante of New York. Dr. Sandweiss writes of another interesting instance of Baba's compassion: "Lila and I were discussing Sai Baba, and she became intrigued. She read a book about Him and began to consider the possibility of meeting Him herself. She was then deeply in debt and there seemed to be no feasible way for her to get the money to go to India. Her husband, Homer, an inventor, had no steady income at that time and had not been able to sell an invention in over five years. Yet, as highly unrealistic as the trip did seem, she made plans to go and obtained her vaccination certificate and passport. Then some strange things began to happen. One day, feeling particularly depressed, she had an unusual dream in which Baba appeared, His eyes twinkling with fun. Soon afterwards, Homer hit upon an invention. After a swift and improbable chain of events, some people became interested in it and his financial position suddenly and quite unexpectedly improved - the first time in years that this had happened. Lila now had enough money for the trip just a week before takeoff, and being completely prepared, she found herself jubilantly boarding the plane with us." It is beyond doubt that Baba plans, designs and structures the dreams through which He initiates or deepens His impact on people. Ponder over another incident related by Dr. Sandweiss, involving Jeff from California. Dr. Sandweiss writes, "In the interview room where we all sat, Baba was smiling and rocking back and forth blissfully. He turned to Jeff, the fellow next to me, and said casually, 'I've come to you twice in dreams.' Now, as a psychiatrist, I have certainly never heard of a colleague talking this way to a patient. Psychiatrists deal with dreams all the time; but to say, 'I've come to you twice in dream' would be somewhat disconcerting for the average patient... Baba began to describe and interpret one of Jeff's dreams and it became quite evident to me that He had in some way fashioned the psychic experience of this man, had actually created dreams for him and visited him in another dimension of reality. Everything that Baba said was confirmed by Jeff. Here was the greatest psychiatrist I had ever seen!" Sri Jaganhesan once asked Baba towards the end of an interview with Him, "Bhagavan! Why don't you ever come in my dreams?" "Baba", he writes, "bent down lovingly and replied, 'Okay from now on I will come in your dreams on Wednesdays.' I regard Tuesday as a holy day because a Vibhuti-materialization from His picture in my house first occurred on Tuesday, 8th June 1976. Recognising this, Baba laughed, and without my asking amended His statement the next moment. 'No, No! Tuesdays, eh?' " And on Tuesdays the dream brings Baba into his view as an unfailing gift of grace. Once, during a visit to Brindavan (Whitefield) along with Dr. Sandweiss, Elsie Cowan excitedly knocked at his room very early one morning saying, "I am feeling very close to Walter this morning." When Walter had cast off his mortal coil at Tustin, California, Baba had telegraphed to Elsie, "Walter arrived here in good shape." Elsie told Sandweiss, "I feel that Baba and Walter have paid me a special visit. I have been wide awake since six o'clock and full of energy." When both of them reached Prasanthi Nilayam that evening, Baba called them in along with a few others and, in the midst of the conversation, He suddenly said to Elsie, "Walter and I paid you a visit this morning." "Yes, Yes!" said Elsie, "At six o'clock I felt so filled." "No, five minutes to six!" He corrected her. And Sandweiss adds, "I began to see Baba less as an omnipresent controller of great forces than as a manifestation of pure love. Clearly, His love for His devotees motivates His actions." 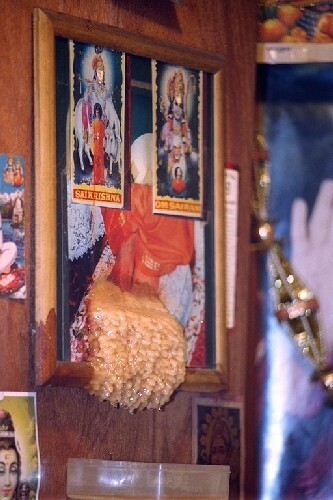 Shirdi Baba appeared in dreams to give warnings and counsel; He spoke in symbols and veiled phrases; He helped solve mundane problems and personal tangles; He invited to Dwarakamai, through mysterious intimations, Sadhakas and service-oriented souls, suffering and suspicion-afflicted persons, and awakened their latent, inner urge towards self-realization by a mere look, a touch, a smile or a pinch of sacred ash. This same strategy is unfolding on an even grander scale in the Sathya Sai era. Now the world has to be awakened and shaken out of its arrogance and schizophrenia by revelations of truth and declarations of love. While in 'Shirdi' form, the declaration of being an avatar was made in the comparative privacy of conversation. 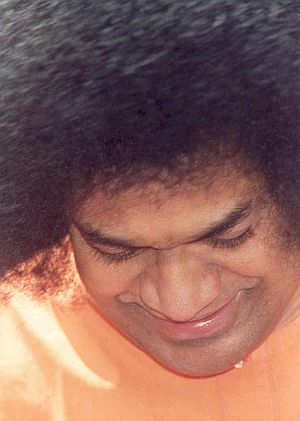 In the Sathya Sai manifestation, the declaration that He is all the names and forms through which mankind has adored God down the centuries, was made at a World Conference in Bombay before twenty-five thousand listeners, and many times subsequently, when hundreds of thousands were present. Through films, tapes, books and oral testimony, the uniqueness of this Divine Phenomenon and His wisdom, power, love and compassion are drawing increasing love and adoration, which has united millions into one ever-growing family of mankind. Arthur Osborne once said that Shirdi Sai Baba, was 'incredible'. Dr. S. Bhagavantham announced that Sathya Sai Baba is 'inexplicable'. I have to conclude that He is 'inscrutable', for He is the very embodiment of the Divinity described in the following story from the Upanishads, revealing Its glory and power. The Universal Absolute, Brahman, conferred victory on the gods in their war against the demons. The gods were saved from thraldom and became mighty once again. But in their pride they ascribed their success to themselves; they traced it to their own prowess. To make them aware of their dependence on the Source of all power and wisdom, it appeared before them as a pillar of light, even while they were celebrating their victory in drink and dance, revelry and rejoicing. Noticing this strange Phenomenon, the gods were curious to know what it was and why it was interrupting their noisy spree. They sent the god of fire, Agni, to investigate it and report. The Phenomenon accosted the god who replied, "I am Agni. I can burn all things that come in contact with me." The Phenomenon invited him to burn a tiny stalk of dry grass which It placed before him. But however forcefully and gigantically he fell upon it, he could not burn it. So he returned to the gathering of gods, crestfallen and humiliated. The god of wind, Vayu, next ventured to challenge the Phenomenon to reveal its identity and its intentions. He, too, had to eat his boastful words, foiled by the blade of grass. Indra, the lord of the gods, was incensed by the overwhelming powers of this column of light, but he, too, had to swallow his pride and realise that a god as feeble as he had no right to confront that mighty Source of Glory. "Not only today, but at any time hereafter, it will be beyond the capacity of anyone, however hard he may try and by whatever means, to assess My true nature." Critics and commentators do not realise that in the realm of the sacred, any explanation is a limitation, a hesitation, desecration. Scholars and scientists, isolated in their conceit, have for over four decades set out to expose Him as a fraud, a juggler and a trickster, but failed to tarnish even the hem of His robe. In this age, when the senses are the final criteria of knowledge, when passion rules the brain and prejudice pollutes the mind, a phenomenon shedding light, showering love and embodying truth automatically becomes a target for doubt, suspicion and denigration. Every wayward preacher comes to find in Him a challenge that he is powerless to understand and accept. He is an unpleasant and unwelcome reminder to the half-baked persons who are disembogued by modern universities, of the inadequacy of the intellect and the infirmity of the senses. How else are we to interpret the presumptuous assertion that the "halo around Baba rests entirely on the miraculous production of material objects which appeal to, and excite the wonder of, credulous people"? Let Shri M. Rasgotra explain to us what that halo rests on: "We all emerge from the encounter with Baba in interview, exalted and radiant, as if Baba has stripped us of our motley cloaks full of patches, and fitted us out in love's pure raiment for a fresh journey towards a new destination. The transformation begins almost at the first moment of contact, and the process of ceaseless and irresistible uplift never slackens thereafter." Shri B. Ramanand, while describing a wedding that was celebrated at Prasanthi Nilayam during which he had witnessed Baba for the first time, writes, "In five minutes we felt He was one of us; He talked to us as if He had known us intimately all along. This intense humanness, this wonderful camaraderie He has for all persons whom He meets, this remarkable quality of being one with the people around Him, this superabundance of good humor, joy, love and affection to all, made a powerful impact on me." Baba says that His much-debated miracles are as insignificant before His true purpose as a mosquito when compared to the mighty elephant. We pay homage to Baba recognizing the waves of gratitude that surge around His feet from hearts reinforced by the impact of His love, minds cleansed by the splendor of His grace, intellects made healthy and wholesome by imbibing His wisdom and bodies strengthened and straightened by the inflow of His compassion. Richard Bock of Los Angeles, who was advised by Ravi Shanker and Indira Devi to approach Baba in the spirit of a pupil going to a guru, writes, "I remember going through a period when I wore a Japamala (rosary) with 108 beads, as a sort of badge. Baba came over to me, looked at it and said, 'It's heavy for Om.' He meant that I was showing off. So, I realized, it was nonsense. Like everybody else I did Namaste when Baba came into the room. He came over and hit my hands, saying, 'jhootha bhakti'. When I found out later that it meant 'false devotion', I realized that I didn't know what I was doing. What He was getting across was that until you feel it in your heart, don't go through a ritual. The next thing was that everybody wanted to touch His feet, so I figured that was something I, too, should do. When I tried to touch His feet, He said, 'No'. I realised, then, that I was doing it because every body else was doing it, that I myself didn't have any inner motivation at that moment to touch His feet." "Those who deny Me are blinded by ignorance or pride, so they need even more compassion and grace. Those who stay away, or stray away, I shall beckon back." Baba, from Whom nothing can be hidden and for Whom nobody is distant, became aware of this blinkered tourist's belief. Schulman was mysteriously 'possessed' by an idea - to write a book on Baba - which he tried his best to explain away, circumvent, rationalize and deny; still it would not leave him alone. He told himself that it was insane, impracticable and impossible, but it refused to loosen its hold on him, persisting in its emphasis. Three months later, when he was able to secure an interview, Baba told him, "I asked you to write the book not because I wanted your book. The book is publicity. I don't need publicity. I wanted you, you, you!" And He sent him back to America, wiser and happier, the veil of supercilious ignorance regarding mystics and their disciples removed from his now clearer vision. Like the Upanishadic god of wind, Samuel H. Sandweiss, M.D., renowned psychiatrist, proceeded towards the Phenomenon in full confidence that he could easily prick the bubble of its bombastic magnificence. He writes, "I would go as a scientist to study and understand the psychological realities of a situation shrouded in mysticism, only to prove that miracles do not exist." Sandweiss approached the Sai Phenomenon and soon returned like the god Vayu, to his companions who were drinking and dancing, unaware of the reality which was directing their destiny. Sandweiss had decided to meet Baba when he heard extraordinary stories about Him from Indra Devi, to whom he had gone for consultations regarding Yoga. Baba, even when physically present at Prasanthi Nilayam or Brindavan, arouses ardour and yearning, awakens curiosity and interest, stimulates thirst and restlessness, assures comfort and cure and alerts and admonishes in dreams and through visions. Each one who moves to His presence with hope and confidence, has a story to tell, each more fascinating and reassuring than the other. Pardon me if I present myself as the insolent Indra who, in 1948, (see: N. Kasturi) was too impertinent to put up with the 'miracles' of Baba, yet was too curious to tolerate Him without a personal examination. I was then famous in the Kannada-speaking region of India - the state of Karnataka - as a humor writer, and I had a large reading public admiring me as the Stephen Leacock of that language. I then aimed my humor at Baba, 'the Phenomenon'. The word Sai in Kannada means 'die' - it is expletive, a command to extinguish life. "How can a person calling on us to address him as Sai be adored in Karnataka?" I quipped. Besides, I had gulped, without discerning, the dictum spread by the monks of the Ramakrishna Mission that the performance of miracles is a very unspiritual exercise which drags the Sadhaka into the depths of worldliness. So I hastened towards Baba in the hope that he could be exposed and explained. Like Indra, I returned after the encounter with my prejudices corrected, my myopia cured and my pride pulverized. I am engaged ever since in enthusing all people to follow the message of Baba and in adoring Him as the savior of mankind. Those who venture to defy or deny Him, ultimately return to remain in His presence with folded hands and supple minds, meditating on His form, reciting His name and elevating themselves to divinity. When Arnold Schulman heard himself ask Baba, "Are you God?" Baba replied, "How can an ant measure the depth of the ocean or a fish discover the truth of the sky?" This answer stuns our reason dumb. But every act of Baba does the same. After thirty-one years of having known Him, I feel that to doubt the authenticity of the following experience of Indira Devi is a sacrilege to Sai: "I looked up at the picture of Bhagavan and prayed, 'Bhagavan, please take me to Puttaparthi for your birthday.' Two days later, a young man who had come to the Sai Centre at Tecate, phoned, 'Mataji, could you go to India tomorrow if Warner Bros. pay your trip? They want Baba's permission to make a documentary film on His life.' " She was met at the airport by someone from the company. When she came to Prasanthi Nilayam with the proposal, I felt elated at the prospect of the film. She was very much there during the Birthday festival and she carried Baba's response to the request back home. But when she contracted Warner Bros., who had arranged and paid for her trip, "No one knew me there," she writes, "nor about the trip, nor the film, nor Bhagavan. The red-faced executive told me that he would investigate and let me know. Years have passed and I am still waiting to hear what he has to tell me from his inquiry!" Muriel Engle writes from San Diego on the Pacific Coast: "Ruth has a teaching job in Mexico. She is busy going back and forth. She attends Bhajans on Thursdays at Santa Barbara, but is still a sceptic. Her health problems have been tormenting her since long. She has bouts of extreme pain for several days at a stretch. One evening in her little room she suffered from terrible pain, and in her desperate agony she was crying out, 'Oh is there someone to help me? Anyone? Why am I suffering this? What shall I do? Oh, help!' "
"There is only one God and He is omnipresent. He has no favourite dwelling place or chosen followers or special groups of devotees. Call - He answers, He manifests, He blesses." Professor S. Bashiruddin of the Osmania University, while driving down with Baba from Ooty, in the Nilgiri Hills, asked, "Swami, if a devotee sends a letter or a telegram to Your Bangalore address but You happen to be at Ooty, Bombay or any other place, would it be redirected to You if it is marked 'Urgent'?" Baba answered, "A letter or a telegram is a mere carbon copy. If the thought in the letter or telegram is sincere, it need not be delivered to Me. The moment the thought is shaped in a devotee's mind it reaches Me, and the necessary guidance is transmitted." When a few university men belonging to a blatantly propagandist and rationalist association, wrote to Baba insisting on an examination of His credentials, Baba said, "Sai is not a subject for a university examination; He is an object for universal examination." Joel Roydon had no respect for Baba, who was worshipped by his wife. 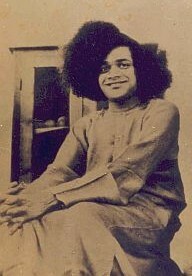 So he astonished his friends when he announced that he was flying to India with her to meet 'the wild-haired character'. When asked what he proposed to ask Baba for, he jocularly replied that he would ask for a rainbow in the sky. "No magician can ever pull a rainbow out of his sleeves," he jested. When he reached Puttaparthi and sat on a rock atop the hill to enjoy a smoke, "We saw a rainbow go straight up the eastern sky," Joel writes, "never curving, and within seconds it had reached its peak. As quickly as it grew, it dissolved itself, from the bottom up!" Next, when he was called by Baba for an interview, the question with which Joel was greeted was, "So, how did you like the rainbow?" In April 1972, Elsie and Walter Cowan returned from India to California. To a Sai group Elsie announced, "We have come back from India, my husband and I, brimful of the most astounding news that can happen to anyone. It is so fantastic that many of you may doubt it, because hardly any of us can imagine the great importance and the tremendous power of this great, high god, who not only walks the earth, but cares for all the planes from earth to eternity. Walter died at Madras; Sai Baba resurrected him!" A few months later, Walter Cowan wrote to me, "I am really feeling fine. Would you believe that I have gained about thirty pounds since 'coming back'?" Inscrutable, but true. Here is another story from Mexico: "A dozen families live on our hill in Mexico which slopes down to the Pacific Ocean, about 300 feet below. Most of the people are retired Americans. There are one or two Mexican families also. The hill itself is not of solid rock, but is sedimentary ocean-floor uplift, comprising a mass of sand, boulders, clay, seashells, etc. A recent vertical cut for a new highway weakened the hill. In September 1976, it started sliding towards the ocean. Before long, two houses had fallen and other houses broke into half. The authorities ordered all remaining houses to be evacuated, because government geologists had declared that all the houses would be destroyed by the earth movement. At this critical juncture I was scheduled to leave on a tour of Sathya Sai Baba centres. We prayed to Baba to save the houses of our small community. "Throughout the tour I remained anxious about this occurrence, but on my return was relieved to find all the remaining houses intact as before. The geologists were measuring the hill each day and were unable to discover why part of the hill was stationary and had not moved even a fraction of an inch. Of course, they did not know about the prayer nor that we had affixed a picture of Bhagavan to a window directly facing the ocean side." "Before going to Sai Baba, I told Indira Devi that everything but the miracles I can accept," writes Richard Bock. 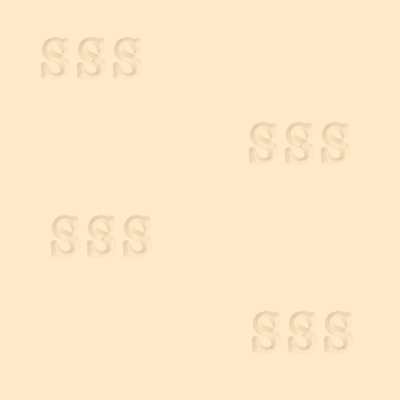 "Those bothered me because I had read the Ramakrishna Kathamrita, which says that you have to be aware of Siddhis (ascetically acquired powers), for they can lead you astray. So I felt that showing off this power was somehow egotistical and was not the highest level of expression. Therefore, I had doubts as to His motives in displaying them. But when I got closer and began to experience them, I realized that they were so natural to Him, and the reason behind them so sound, that I could see He was coming from a different space. He was not becoming something - that He already was - so there was nothing that could spoil Him... For a Westerner, it usually takes something to blow his mind off the material world that he is entrapped in and the idea that everything can be figured out scientifically. So Baba creates something out of time, breaking what usually look like scientific natural laws, and creates a so-called miracle. "The thing that blew my mind was what happened when Indira Devi asked Him if she could have some more of the 'healing ash', because she had given away all of her first supply to people. He said 'yes' and, as I was watching, he moved His hand in a circle and then held up both hands, as if to receive something. Then an urn, about four inches high, appeared in mid-air and plopped into His hands. I saw this and said, 'That's not sleight of hand, that's not up His sleeve, that's something else.' He took off the top and spilled all the ash onto a piece of paper. Then He poured again, and another urnful of ash poured out, so that in total He had poured out double the amount of ash that the urn could possibly hold. Next, He put half of it back in the urn and distributed some to the people near by. What was left He put in a little handkerchief bag and gave it to Indira. He touched it and said, 'Now this will be an inexhaustible supply and you won't run out of it.' Well, she has had it for ten years now and it is still flowing. And she has given it to thousands of people. After that experience with Baba, whether or not God exists is no longer a question in my mind." This is what Richard Bock related to an interviewer from the Movement, in September 1979. Baba is so compassionate that He designs a new strategy for every individual He decides to reform or transform. At one and the same time, in all parts of the world, increasing numbers of people experience His grace by means of an 'inner voice' or intuition, during silent spells or amidst the clank of crowds, or through His direct manifestation in physical form - conveying warnings, revitalizing faith and clearing doubts. 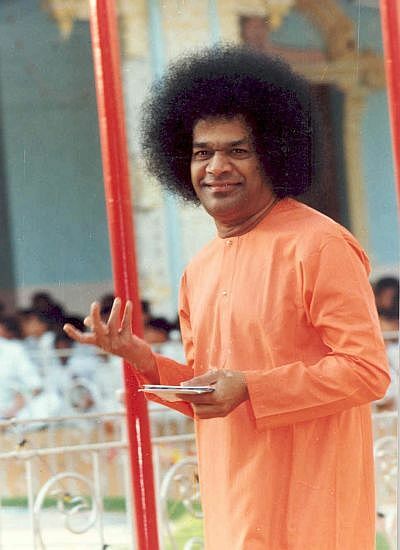 A telegram which in fact was never transmitted, a letter which was never posted or a phone call which was never dialled, can reveal His affection and awaken, assure or advise a person struggling in the dark, ultimately revealing the hand of God beckoning him to Prasanthi Nilayam.